Barry M knows good colour! 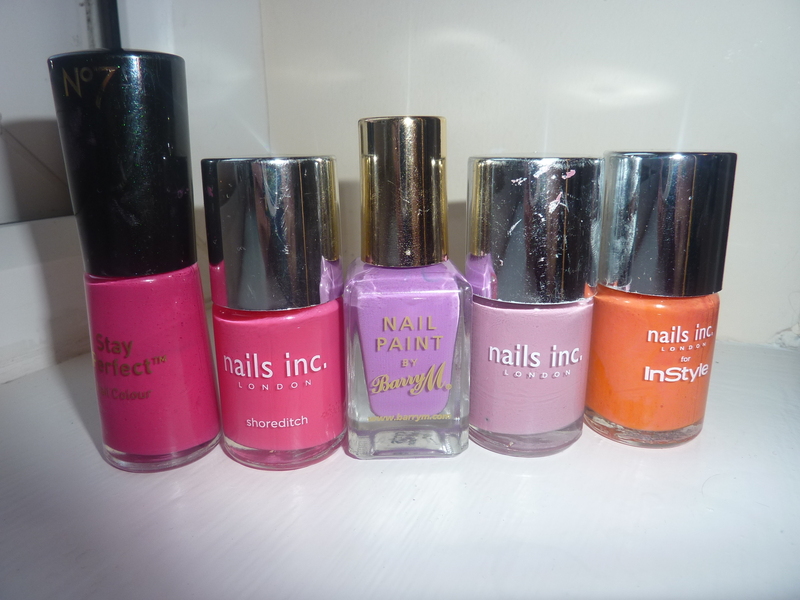 I love their polishes – they’re cheap and pretty good quality. With a rainbow of shades on offer it’s tough to choose, but after much deliberation I opted for Stawberry Ice Cream and Bright Pink. Normally £2.99 each and Boots had an offer on 2 for £5. Stawberry Ice Cream is a really pale, milky pink. After the first coat I worried that the shade was a little too close to those tacky fake nails, but after 3 coats I achieved the bottle colour. Not normally my bag, but the shade is cute and very summery. The glossy finish lasted around 3 days and since it’s pale, a couple a chips didn’t do any harm. Bright Pink caught my eye straight away. I’d describe it as the perfect Barbie pink. It is bright, but not too in your face. It screams summer and cheered my nails right up. Barry M polishes do tend to be a little thin, again it took three coats to achieve perfect colour and coverage, but boy was it worth it. Needless to say I’m pretty happy with my purchased. I also got ANOTHER No7 voucher, so a picked up another No7 polish, a gorgeous glittery pink, aptly named TWINKLE, which fits nicely between the two Barry M shades on the colour chart. 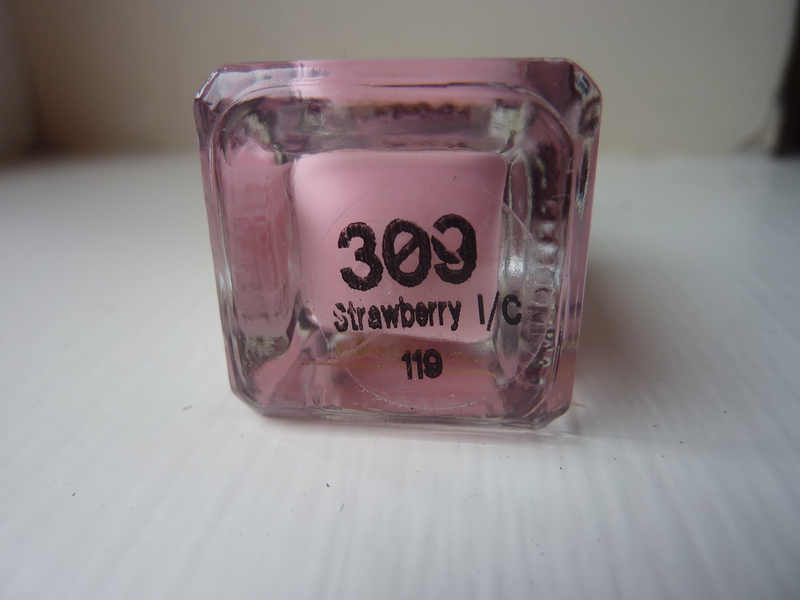 It’s a similar shade to Strawberry Ice cream, but a little more pigmented and with added sparkle. I haven’t road tested it yet, but you’ll know when I do. 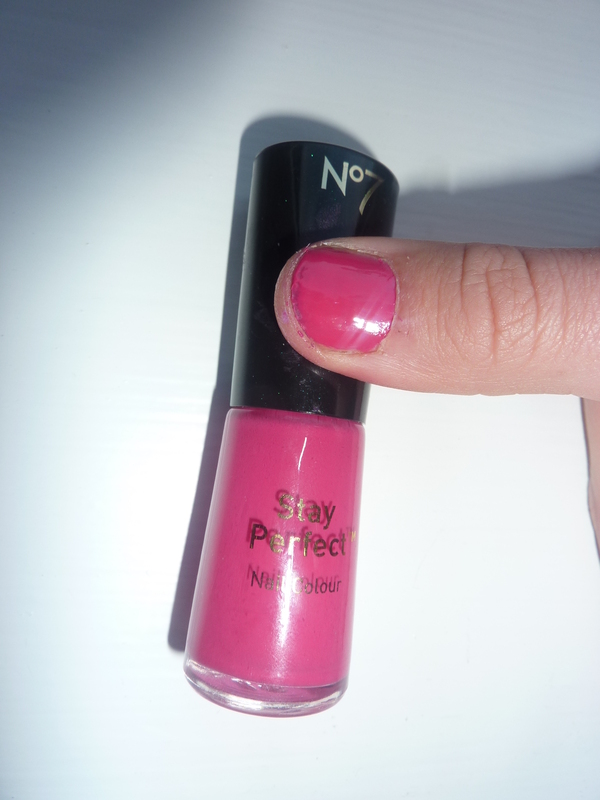 This is a hot pink, perfect for fingers and toes, very summery. 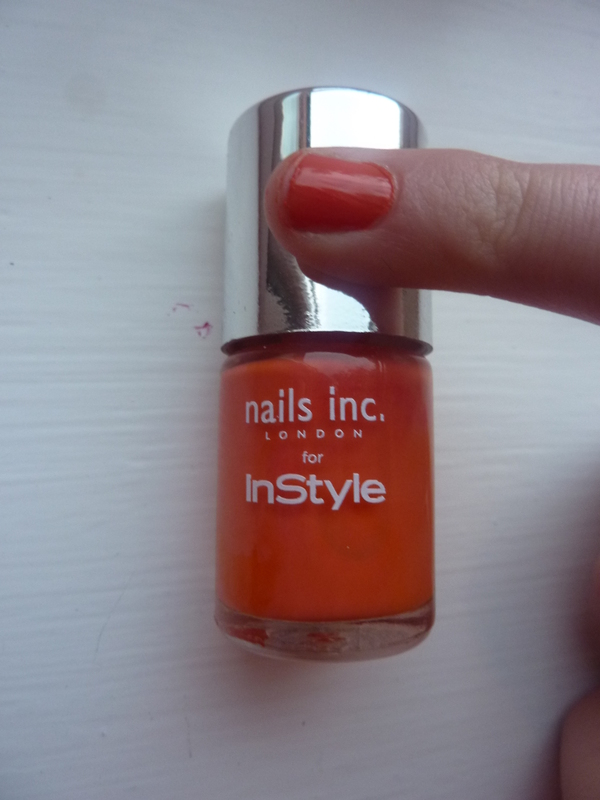 I think No7 polishes are pretty good quality – one or two coats does the job. One of my all time favourite shades. A bold, hot pink that’s incredibly glossy. Similar to the No7 one but a touch more barbie pink. 2 coats with an under and over coat works a treat and lasts ages. The pinky/lilac shade has the WOW factor. So eye catching – it screams summer. The thin, non-glupey consistency makes it a dream to apply….Great value at £2.99. Read full review here. Looks similar to Barry M’s in the pictures but it’s a more milky, beige lilac. Great for everyday sophistication. A break from my traditional pinks and Lilacs, I’m loving this candy orange. Very on trend, summery and came free with this months’ Instyle magazine, yet another reason to love. I have to admit to being quite taken with this new nail art trend. It’s cute, it’s novel and all the brands are doing it BUT I’m not sure it’s for adults? 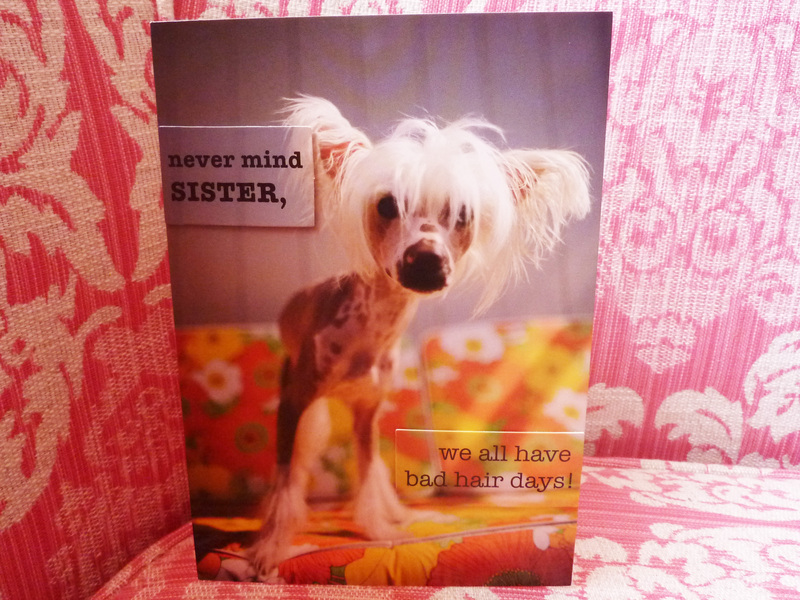 With that in mind, I bravely tested it out… on my 12 year old sister. Crackle polish is available in a rainbow of colours – gold, green, WHITE you name it. For your first time I’d recommend a black, plus it goes with everything. 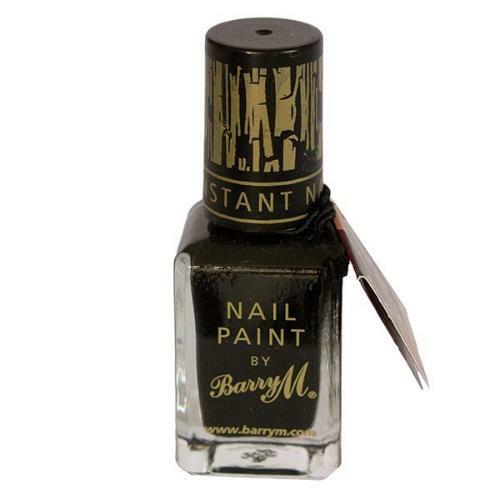 Barry M’s crackle paint is available in black,white, pink and blue and priced at £3.99 it’s very reasonable. 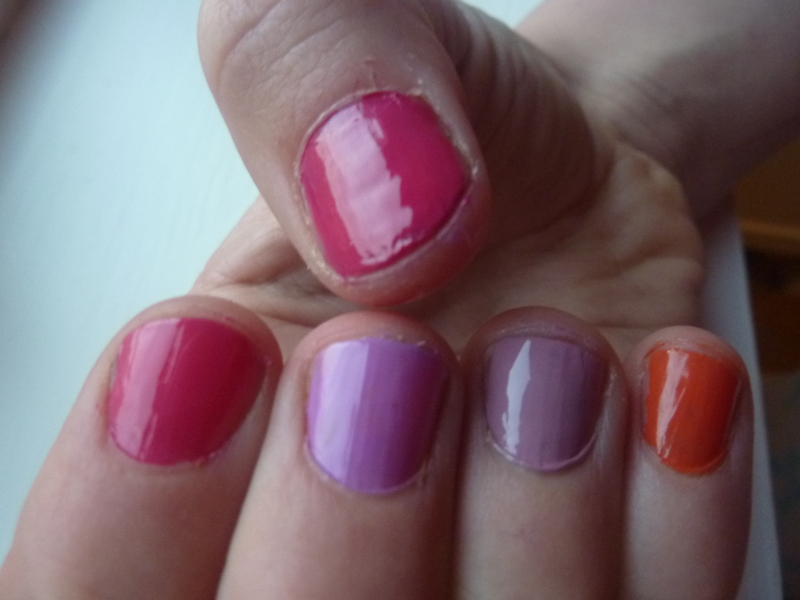 Firstly paint your nails as you would normally. You can use any colour, any brand. I think black works well with bright colours, so we chose No7’s Foxglove – a hot pink. Apply one or two coats, BUT make sure they’re bone dry before you start with the crackle. Then on top of your painted nails apply with the crackle varnish, BUT and here’s the tricky part, you cannot overlap the crackle, which is difficult because the brush isn’t wide enough to do just one stroke, yet it’s wider than half your nail meaning some overlapping is inevitable. The other difficulty is it DRIES very quickly but once on you will be impressed by the instant crackling effect – it’s like magic. My only criticism with this Barry M version is it gets very glupey very quickly. Be careful not to apply too much. I’d say practice makes perfect with this one, by the time I got to the last nails I felt like I was finding my stride, but for a first attempt, I’d say we didn’t do too bad…..
What’s amazing is, you get a different result everytime and can vary the effect by doing faster or slower strokes. My sister was really happy with the results and her friends were green with envy, which I think answers the question, is it for adults? Probably not, unless your name is Lady GaGa. They’ve done it again. Another stunning colour from nail polish supremo Barry M.
As the summer vibe continues, this pot’s all you need for funky, fresh, summery nails. The pinky/lilac shade has the WOW factor, it caught my eye as soon as I stepped foot down the make up aisle and the gold “blinging” lid make it look much more expensive than it really is. As with Barry Nail Paints the consistency is rather thin, but I find they’re a dream to apply, unlike thick and glupey alternatives. It dries really quick and is best applied with a base and top coat. Here’s a quick swatch on my thumb. My only gripe, it doesn’t have a beautiful name to match, instead it’s known as Limited Edition 030 (I reckon that’s code for Drop Dead GORGEOUS). For £2.99 it’s top of my summer steals, and right now available 3 for 2 at Boots. Girls, you know where you’re going for lunch! The trend continues for rebellious colours (ones that shouldn’t work, but do) and my latest favourite is Barry M’s Mushroom. As a habitual pink varnish wearer, I never thought I’d see myself in a colour that could be described as muddy dishwater, but Mushroom is surprisingly elegant and very on trend. 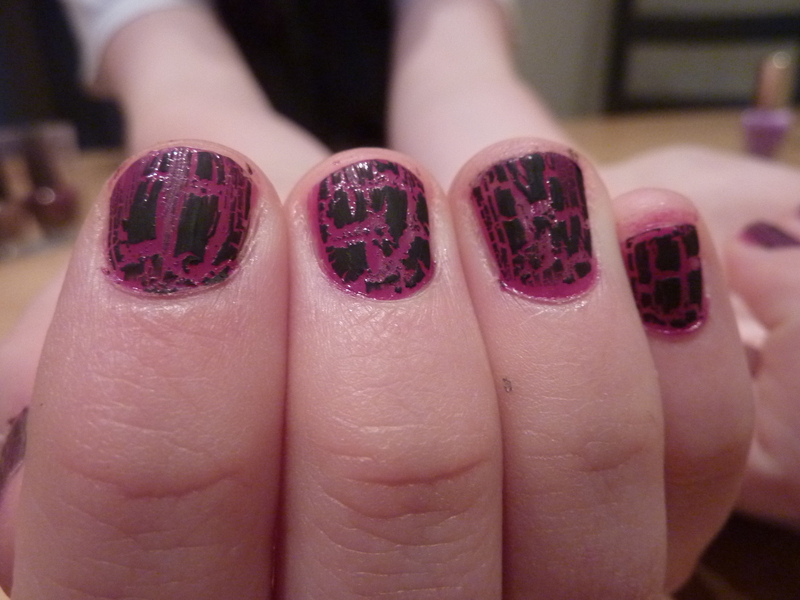 What’s more, it’s a dead-ringer to Chanel’s uber chich (and expensive) 505 Particuliere polish. Yet, at just £2.99, it’s a mere fraction of the price. The quality of Barry M’s Nail Paints is surprisingly good. 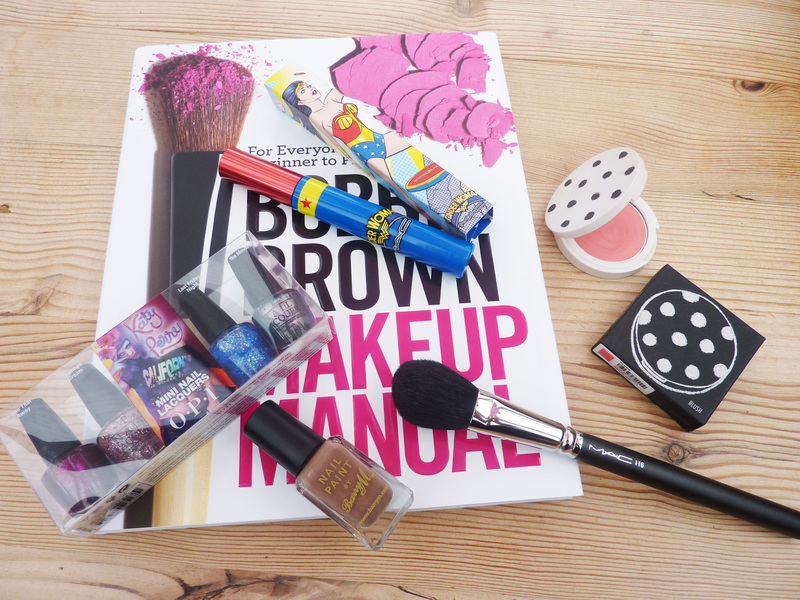 The consistency is quite thin and very easy to apply. It dries quickly and lasts well. For best results use an under and top coat as well as two coats of Mushroom. 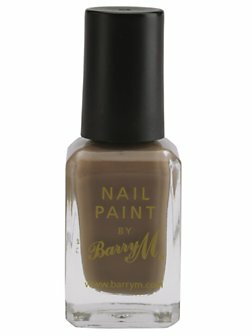 Right now get 2 Barry M nail paints for £5 at Boots.